At Space Angels, we believe that our future involves thousands of people living and working productively beyond the confines of Earth’s atmosphere. As investors, we are supporting that vision by investing across the space industry and building the value network of entrepreneurial space. To prepare for our future in low-Earth orbit, cislunar space, on the Moon, and on Mars, we need to foster a diverse pool of qualified, enthusiastic young people who are inspired to further the off-Earth dream. Thankfully, many within the aerospace community recognize—and are taking steps to address—this need. Organizations like the Future Space Leaders Foundation and programs like the Brooke Owens Fellowship are working to ensure that our future in space is bright for the generations to come. Today, Space Angels is delighted to announce that we have been accepted as a host company for the upcoming class of Brooke Owens Fellowship recipients. We are excited and honored to support the career goals of young women within the commercial space industry, and to provide a mentorship experience for tomorrow’s innovators and explorers. The Brooke Owens Fellowship Program provides mentorship and work experience for undergraduate women interested in the space industry. In the summer of 2016, the world lost a bright young mind when Brooke Owens, 35, lost her battle with cancer. 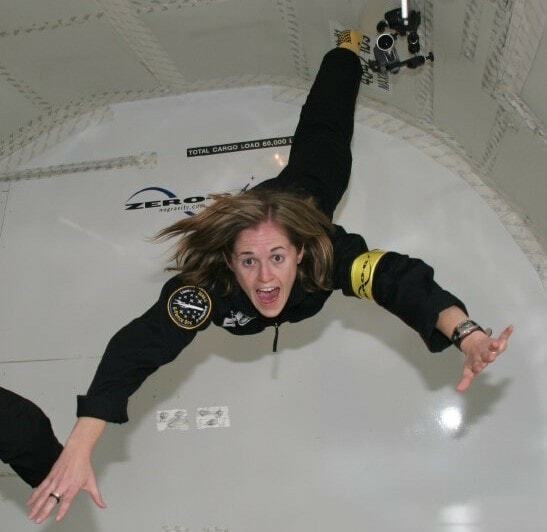 Ms. Owens was passionate about space exploration, having spent time during her career at NASA Johnson Space Center, the XPRIZE Foundation, and the FAA’s Office of Commercial Space Transportation. Friends and colleagues turned grief into an opportunity to honor Ms. Owens’ memory and cement her legacy by creating the Brooke Owens Fellowship Program—a program which provides professional mentorship and work experience for young women across the commercial space industry. Following a thorough application and vetting process, the Program’s inaugural class of 36 Fellows were placed at space organizations across the country—from private companies like SpaceX, Made in Space, and Planetary Resources, to nonprofits like the XPRIZE Foundation and even the Mojave Air and Space Port. During their 12-week internships, Fellows were matched with a pair of mentors—one from within the host company, and another external mentor—in order to provide high-level guidance and career support for program recipients. For decades, women have been underrepresented within the aerospace industry. ‍Image credit: NASA. From L-R: Lucille Coltrane, Jean Clark Keating, Katherine Collie Speegle, Doris ‘Dot’ Lee, Ruth Whitman, Emily Stephens Mueller. 1959. Women have historically played important roles in the development of the aerospace industry—a fact which was brought to light by the notable success of last year’s film Hidden Figures. Despite their valuable contributions, the actual number of women involved in the space industry has long been outweighed by their male counterparts. 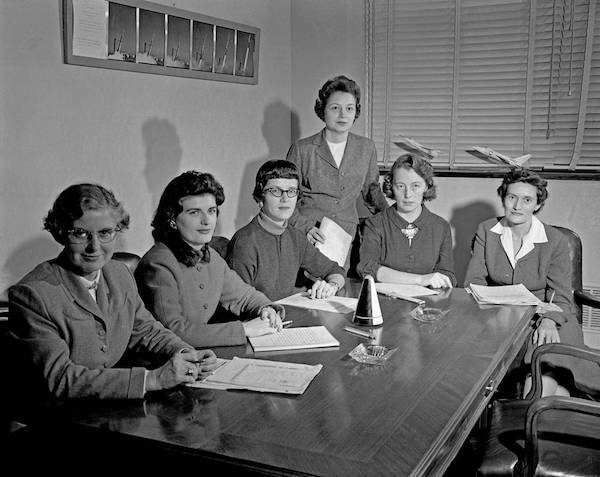 While some of this early workplace imbalance may be ascribed to societal expectations and gender norms of the mid-20th century, the space industry remains largely male-dominated to this day. At the International Astronautical Society’s annual Congress in October of 2016, then-Deputy Administrator of NASA Dava Newman rattled off a couple of surprising statistics: At NASA, “female scientists account for 28% of their workforce, while female engineers were only 23%.” In the wider United States, women are even less likely to pursue careers in aerospace: According to numbers released by the U.S. Bureau of Labor Statistics in early 2017, a mere 7.8% of the nation’s aerospace engineers are female. These numbers betray a broader trend of female under-representation across a range of STEM (science, technology, engineering, and math)-related disciplines and careers. For example, there’s a stark disconnect between the number of women graduating with STEM degrees, and the number of women who become gainfully employed in STEM-related fields. According to a recent study of college students graduating with a bachelor’s degree in a STEM discipline, 53.3% of male graduates were employed in a STEM field within two years of graduation. For female graduates with the same degrees, that number was only 41.4%. According to the World Economic Forum, this gender gap does a very real disservice to global financial prospects: “The fact that women are not ... working in these sectors and occupations means that talent is being misused and that economies are less productive than they could be.” For high-tech industries—and especially the quickly-evolving commercial space industry—the availability of qualified talent and the introduction of novel ideals can mean the difference between rapid innovation and stagnancy. Our vision of a future in space will only be possible with a broad and actively-engaged pool of qualified participants. 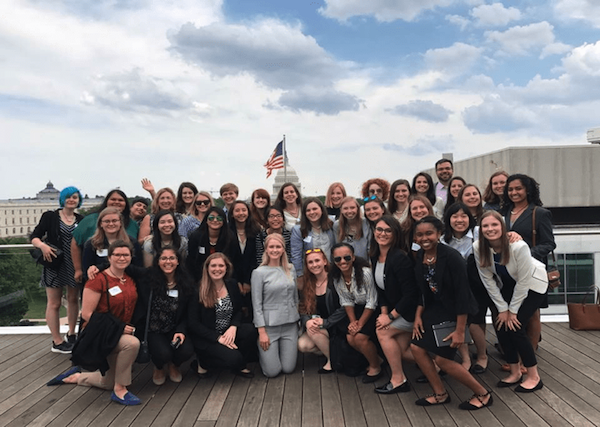 By placing highly-qualified female students with internship opportunities at the country’s top space companies, the Brooke Owens Fellowship Program is playing an important role within the space industry: fostering a diverse workforce that will help ensure continued progress in the years to come. While we are undoubtedly experiencing an inflection point within the entrepreneurial space movement, the only way to be sure that this momentum continues in the long term is to inspire an interest in, and enthusiasm for, space exploration in a diverse spectrum of young people. After all, today’s children and young adults may be among the first generations to live and work in space full-time. Part of helping young people internalize the reality of modern space exploration is demonstrating that there are a multitude of clear and viable routes of entry into the space industry. In decades past, entire generations of children wanted to be astronauts when they grew up—but the number of people accepted into NASA’s astronaut training program was a miniscule percentage of those who once had the dream. We are now working towards a future where a much broader subset of the population can not only pursue careers in the space industry, but also actually travel off-planet as private astronauts and space-faring tourists. At Space Angels, we believe that this future is firmly within our grasp; however, we cannot allow ourselves to be rendered complacent by the current pace of technological development. In order to continue pushing boundaries, there must be a sustained effort to instill in young people the realization that yes, they can grow up to be space explorers—and that pursuing a career in aerospace, astronomy, or STEM-related disciplines can have very real and practical applications in today’s commercial space industry. Programs like the Brooke Owens Fellowship and the FSLF are invaluable to the future of space exploration and the private space industry. Initiatives like the Brooke Owens Fellowship and other FSLF programs are a great way for young people to connect with professionals who can serve as mentors, and who have already demonstrated success within the modern aerospace industry. This mentorship aspect is critical for future career development and professional confidence—and also has a measurable positive impact on innovation within a workplace. For an industry as driven by innovation and big-thinking as entrepreneurial space, the importance of fostering these sorts of interpersonal and professional connections cannot be overstated. While the application process for next year’s Brooke Owens Fellowships has not yet officially opened, here at Space Angels we are looking forward to working with the Program in 2018—and we are honored to support the effort to diversify the commercial space workforce. In the years to come, the entrepreneurial space industry will benefit immeasurably from the influx of disruptive ideas and unique points of view that will accompany this changing demographic.